The Marketing Agency world continues to change and evolve. Just the other week, news broke that ZenithOptimedia UK will be going through a restructuring. There are rumors that Starcom MediaVest Group may also look to change things up in the UK. With every passing week, we hear more stories about Marketing professionals coming and going, departments being shifted, removed or created, and consolidation is a common practice when big brands meet big business. What’s it going to take a for an agency to make it? What’s it going to take for a brand to find the right agency for the job? Last week, MediaBizBloggers, had a post titled, The Agency of the Future is Now the Agency of the Past, by Uwe Hook. As the Marketing industry continues to mature, and as new channels and platforms enter the fray (mostly due to technology), it’s important to think long and hard about what a real Marketing agency is going to look like. Instead of hacking together a quick Blog post to respond/elaborate on Hook’s perspective, I took the week to think, take notes and push some of the ideas to an edgier edge. It won’t be small. It won’t be big. Many pundits thought that the big agencies with multiple disciplines would rule them all, while others thought that it would be the boutique shops that can pay more attention and care to the brand that would win. It’s probably going to be somewhere in the middle. The more likely solution will be an agency with a solid core group that can accommodate both the size of the brand and the scope of the work. One that can scale as needed and detract when the needs are less imminent. De-centralized. While geography and understanding the "people on the street" will still be important in terms of cultural relevance, the agency of the future will be more de-centralized. That core unit (mentioned above) will be working with more freelancers that are both physically present and those that are anywhere and everywhere in the world. While great creative comes from great collaboration, the tools that enable us to collaborate are getting us to the point where the realities of leveraging a Digital Nomad workforce will become more prevalent and cost-effective. Chief Marketing Technologist. Marketing and IT are going to have to come together in a much bigger way. I made the case for this, right here: The Time Is Ripe For A Chief Marketing Technologist. If technology (and living it) is not core to your Marketing agency, you’ll never make it out alive. Start looking at how many full-time tech people you employ versus creative and client services, and get that ratio working better. Content. Most brands don’t see themselves as publishers and most agencies don’t have a lot of people creating value-added content. This is going to change. Whether it’s because of Social Media or the sudden growth of branded content, more and more agencies will have amped up content departments that will look, strikingly, like the creative departments of today and yesterday. Community Management. While many brands are hiring community managers to deal with the many online conversations, they are are going to struggle with the scaling of this role, and it will be encumbent on the modern agency to act as the community manager for many of these brands. More and more consumers are starting their conversations with a brand online and a handful of people within an organization managing this back and forth won’t be a viable long-term strategy. Strategy lead will come from the Digital side. If more and more people are having their first brand interaction at a search box and more and more brands have the online channel as the primary point of contact for consumers (or the first place a consumer goes with a query), the current landscape of the traditional agency leading the communications program is going to have to change and shift. If the majority of consumers are starting with a brand online, that’s where the strategy lead needs to take place as well. Advertising shrinks. We tend to forget that advertising is a sub-set of Marketing. Marketing is going to become the primary driver and advertising – while still being a critical part of the marketing mix – will play a less significant role. The jewel in the crown of an entire Marketing campaign won’t be the 30-second spot or the billboards. It’s probably going to be many jewels from many different parts of that marketing mix (and the majority of them will be digital). Non-integrated. Brands think that an integrated solution is best, more cost-effective and cohesive to messaging. This is going to be the biggest and most dramatic change. Integrated won’t work. Multiple disciplines working together is where the gold is going to be. We’re not just talking about your digital shop sitting at the table with your corporate communications and general advertising agency – it’s going to be deeper than that. There will be micro-specialists (like search engine optimization, analytics, etc…) all brought in (as needed) to make things flow. Even the current slew of agencies that claim full-integration have silos so wide and deep that they may as well be non-integrated. Mobile is Digital. As much as those micro-specialists will be critical to a brand’s success, the digital aspect needs to think with one-line of connectivity. Having an online strategy and a mobile strategy is not going to work. Consumers are simply connected, and whether they are doing a search on their smartphone or at their desktop, they’re not thinking of it as two very different or unique channels. The agency of the future shouldn’t either. Analytics. The beginning, middle and end of success will be the analytics and metrics. Real metrics. Real insights and real reactions. None of this will be possible without a heavy analytics department capable of not only slicing and dicing the data, but working with the creative and client services department to help their brands see what others cannot. The new creative. Creative will not just be about "the big idea." Creative will be much more about many big ideas done in many different channels. This is going to force the hand of the current slew of creatives to re-think how they structure, present and produce great creative. It’s not about shifting from 30-second spots to banner ads, and it’s not about making a billboard work in an email. The core role of the creative department will extend and expand well-beyond it’s current incantation. Storytelling as a department. Storytelling may be part of how this creative department will evolve. Whether it’s transmedia or the growing popularity in having a non-linear story being told by a brand, the core idea of making a brand a better story-teller (through content, analytics, social media and various other media channels) is going to change the org chart in a major way. That’s my side, what’s yours? What does the agency of the future look like to you? I mostly agree with all this 🙂 Mostly. I definitely think we (you, me, others) are on to something. The future agency is based around technology…and those of us on the technology side need to understand what our role will be in that future. We can help lead that future or sit around and complain that ‘they’ (marketing, etc) are trying to ‘own everything digital’. I for one and trying to get out front and lead in the area of technology & marketing. Scott Brinker is definitely out there too….love seeing you talking about and linking to his stuff. I couldn’t agree more on the chief marketing technologist role in these new agencies — including their ability to interface productively with the marketing technologists within client organizations. I’d also add: Money won’t come primarily from media buys. The value of the creative and the strategy will have to stand on its own — much as McKinsey, Bain, etc., make their fees. This means that gross revenues of agencies will be less, but if they’re good, their net profit will be much higher. Alternatively, money may come through performance — easier than ever to measure, and in many ways the most fair and properly aligned compensation method. Conversion optimization will be a key dimension of these agencies and their value proposition. Digital PR… specifically influencer identification. Much has been said about blogger outreach and content development, but we’re now reaching a stage where social media has led to key individuals (some in media, but mostly not) who are key influencers to the target audiences. This area is fascinating to watch and I believe this will become pr in the future. Media is still important, but identifying who holds influence in the attention economy is key. Great thoughts… can’t wait to see other thoughts. … and while we’re at it, congrats on the news of your company being acquired… super-proud of you! Technology is clearly the link… to everything. We’re not just talking about development and hosting – it’s everything from how we create the Marketing to how it is developed and communicated. This is the critical link in the chain. I’ve been thinking a lot about how a marketing agency should be structured so this was a timely post for me to read. Many of your points resonate. The idea of getting creative independents working together, regardless of geography, is something I find really attractive. I’ve been exploring this in some of my own projects and am surprised at how well it works. As a copywriter, I totally support the focus on content. But I’m finding even great content isn’t enough. To truly service my clients and provide great products, a strong design element is equally important. My focus has been on Asset Based Marketing – creating assets for my customers and viewing marketing as an asset to business and not an expense. That means original content packaged really well for optimal effectiveness both in print and digital formats. Of course, social media, SEO and analytics are all part of supporting and proving the strategy. Thank you for your insightful post. I had an additional point about media planning and media buying becoming more separate (to tie it into the opening paragraph), but I removed it. That being said, I think you’re right that another aspect will be how we quantify the business and the media buying is going to look very different in this mix. The PR and Marketing bridge is another huge and important factor. I’m not sure those two worlds will ever fully collide, but we are, definitely, seeing many new and interesting intersections. I’m also curious to see how influencers play out. It seems to be something to look at today, but I wonder how diluted that platform will get (and the value that comes with it) in a world where everyone is publishing to everyone (more and more). The value of a tweet today is not the same as it was a few years back. A great additional point would be to put Marketing at the product development phase. If the product isn’t the marketing, no marketing is going to save it in this day and age. – Campaign-thinking will be eliminated. The transformation of people from consumers to producers requires brands/agencies to connect constantly and not when media budgets allow for it. I agree with most of your predictions for the agency of the future. There are three areas I would add to your list. First, the agency of the future will serve also as a strategic business partner to their clients — and understand their business as well as the client and certainly better than their competitors. So much attention has been focused on staying on top of the newest and greatest technologies, that we as agency owners HAVE to also stay on top of the rapid changes that are happening within our client’s businesses and their industries. Clients will value this knowledge over the other skills and experience we offer, especially when the going gets rough. Second, the agency of the future must remain relevant and never lose focus on ROI. With the recession and the emergence of so many low cost technologies, the doors have opened to new competitors in all shapes and sizes that didn’t exist before. Now more than ever, unemployed executives and in-house managers from other disciplines are claiming they are an expert in every marketing discipline to land or maintain their jobs. Sometimes, our clients do not understand the risks they take when using less experienced or underqualified people to implement their marketing programs. Or perhaps they do not value agency experience or quality creative and content in the same way we value these elements, especially when cost or loyalty to their colleagues becomes the most important criteria. Finally, the agency of the future will spend more time than ever before on client maintenance and self-promotion to constantly remind current and prospective clients of their capabilities. Timing — being in the right place at the right time — will be critical to future success. I wonder if it won’t be more of a splinter where one agency does campaigns very well and others do the more long-standing brand building stuff. It seems like being able to scale and develop profits are very different from those two angles. Think about how a traditional agency pumps out a 30-second spot, but a 7-month web development breaks them (financially… and beyond). I agree, I would enjoy hearing you elaborate on the separation of media planning and buying. Though I think you are right, that media planning/buying will change, I only think it will change as much as it stays the same. Large buckets of media spend will still be directed at television, but exactly where it is allocated in that medium will shift and is shifting with the rapid adoption of digital viewing/PVR etc. I agree with you but consider how many people are on twitter, facebook, etc…. there still is a lot of room to grow. PR has always tried to identify the influencer… the one person or people that others follow. Media had become a key influencer but with the media’s value and importance falling, others have replaced them. First it was bloggers and now it’s social media’s turn. I believe it will continue to evolve but PR is PR. The channels for connection are changing but I honestly believe that PR is about to experience huge growth as we find the key influencers who others follow. I believe services like Flowtown.com will become very important too, because it is a key tool for identification. Couldn’t agree more with you regarding the other parts of the new agency but I would also add Connection Planning. We have this department in our firm and the key role is understanding the channel, the audience and working with creative to develop the message. An example of this successfully at work was a line of No VOC paint we introduced. We powerwashed our message into dirty city sidewalks. http://www.liggett.com/work/the-freshaire-choice This was a huge success because we combined the channel with the creative. Remember, everything is potentially the medium for the message. We learned a lot about going beyond traditional channels through this assignment. I encourage other agencies to consider this department moving forward. Love the discussion… Keep it going. Nice post Mitch. Another DejaVu on Transmedia this time, I’m starting to look for people with experience in Transmedia if you have good leads would be appreciated. Project will include Movie deals, Games, Comics through different platform, mobile apps included. You mentioned a key point always on my mind “to put Marketing at the product development phase.” I think that’s one key reason advertising isn’t working as it should. I think producing content for a client at the agency level is ideal but one needs to be present in their business and at the agency to be in touch with the changes, trends or even patterns in both worlds. Cost wise I would look at the result. Great synthesis. I’ve been researching this subject the past year and will shortly be presenting my findings to the Danish association of advertising agencies. 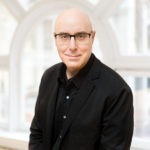 Mitch Joel’s De-centralized and Linda Whelton Cohen’s point of adding this to Mitch’s list – “First, the agency of the future will serve also as a strategic business partner to their clients — and understand their business as well as the client”. Being in a Digital-only agency, I am constantly amazed at how well our account management team knows their clients’ business. And our AM’s always pride our core internal creative team for creating that bridge. I don’t see how a de-centralized system, with freelancers, could replace that. I’m not implying that it can’t. I struggle with the concept of it, especially keeping ROI, and operating costs in mind. This is the first article in a lonngggg time, to make me read through every comment, and craft a response. Keep up the great writing! Mitch, I think you just found the topic of your next book, and the chapters that will live inside of it. I think we’re all trying to get a handle on what the future holds. I think your synopsis will end up being pretty close. Hi Mitch, I agree with you on all points. I would add another. I think the Agency Of The Future’s biggest challenge is in attracting the right people (smart, talented and passionate). And to attract and keep the right people, you cannot operate as most communications agencies do today. High turnover is an indicator that something is wrong. Also, people at the top will have to start managing humans (friends or at least, respected colleagues) instead of numbers and realize that bottom line is easy to measure, but it’s only part of the story. If you take away the staff of the Agency Of The Future, there’s no agency anymore. Most agency owner/managers haven’t realized that yet. Great points, but they lean more toward tactical efforts rather than strategic foundation. No meld of “the right people” — tech experts or otherwise — will provide the core that empowers success. Even given a scenario where all your above tactics are implemented. The agency of the future first needs leadership that possesses a proper vision of the future. Nail that down and the rest will follow. I liked how you included the de-centralized point. We can see it right now, the time is mature enough for freelancers to become a valuable asset especially in this field. It follows the concept of dynamic work force, and it forces the management of these “new” companies to keep an elastic mind, which never hurts. The true is that marketing agencies have changed since their creations and they allways will. You mentioned an important point that I totally agree. The job will be de-centralized and be done (in part) by a network of freelancers who understand very well the public we want to communicate with. Everything is coated with digital. Print, TV, Web, Mobile, Toilets, The Earth. Smart dust and stuff will cover everything. The size will not matter. The market will decide it. Creativity is the most overrated, self-righteous, empty concept. Storytelling is a close second. Reaching the consumer everywhere he is, with (dis) continuos narratives is not new. Transmedia has always existed in the head of the consumer. Seriously now. He is very well aware he’s interacting with the same brand whether is it on TV, Twitter or when your product breaks. No need for a department. Social media is not community management. The problematic around who should manage a community (the brand or the agency) is useless, and it will be settled by next summer. Managing a community has several aspects. From conversation generation and maintenance to specific interventions by subject expert matters. A good understanding of social media policies and stakeholders is crucial before tackling this subject. Pay-per-success must be the norm. This will take the marketing out of marketers. And good analytics will follow. The corporation will change. Everything must become more agile and fluid. Silo-thinking will break. There will always be 24 hours in a day! Great post! I so agree that IT is a key factor in marketing surviving. We hear from marketing firms daily that are grasping this reality and have a desire to be ahead of their clients needs going forward. Also, your point on online & mobile being more of a combo vs separate stations is outstanding! Your message should be coherent along all avenues, just embrace the platform. I agree with a lot of this. I happen to think the agency of the future will also rethink titles. Especially the advertising/interactive agency. The most fun part of digital is that when it works, it’s because it breaks down the silos. You don’t have one team doing tv spots and another doing the website. It’s all part of the bigger communication plan. Thus, the titles that silo us into departments and structures need to be re-thought. I think. Excellent post! I founded a new shop this year based on very similar reasoning. A small core staff, decentralized network of collaborators and a determination to innovate with strategies leveraging technology opportunity. Creative brainstorming in the past tended to be a copywriter and an art director working together. We get the creatives working directly with the technologists (experience architects in our lexicon) with marketing strategists as well. Today, creatives that aren’t keeping up with changing technologies are going to be left behind. It’s so instantly apparent when digital design is executed by someone fully rooted in the print paradigm. The de-centralization will probably happen on the production side first and then make it’s way up. I’ve seen multiple agencies with multiple offices having de-centralized teams… and it works. All true, I just wonder what the influencer looks like when everyone is an influencer to their small peer group. This idea of a Chief Marketing Technologist really resonates with me. I firmly believe that great results (read ROI!) cascade down from a solid strategy designed to achieve well thought-out business objectives. Turns out that such strategies nowadays almost always include a digital dimension (if one wants to reach their target market in a meaningful way, that is). Because it is a marketer’s primary role to define those strategies, it is imperative that this marketer be tech savvy – so they understand how to bring a brand alive through traditional as well as digital channels of communications. Having knowledge of technology allows a marketer to develop the right reflexes. It also allows them to sit a the table with their fellow IT peeps and Developers to figure out how to deliver these strategies to consumers with results in mind. At the end of the day, the brand (therefore the client) benefits from a tech savvy marketer. Thanks for sharing your view of the future. I agree with you and find encouragement for the positioning of our agency today and going forward. We began making many of the adjustments you describe two years ago and we’re learning more everyday. I’ve been an agency owner, a B2B marketing agency owner and partner, for 26 years and the past two years have been the most exciting ever for me. And I believe my partners and staff feel the same way. As for the future, I can’t wait ’til tomorrow because I get smarter everyday. And following Six Pixels helps me with that. Thanks again! Isn’t it a fair question to then ask what is the Client of the Future going to be like (maybe big brands will bring everything in house and flip off agencies, then can today if they wanted too) and what about the consumer of the future? What technologies will enable us to evade all forms of advertising making FireFox Ad Blocker seem crude. Like a computer chip inserted into the brain that will erase any ads flashed our way? See not just you can stir the pot! Agree with many of the points in your original post and many of the comments, Mitch. As Uwe was kind enough to point out in the post you reference, we are trying to address some of these issues with our new company, Co: http://www.cocollective.com/. The line between who is an employee and who is a customer will continue to blur. Successful Companies will start to feel a lot more like collection points of communities of passion. This makes me wonder about the future of truly mass brands. I don’t know if they go away. But I think there are fewer of them in the future. And lots and lots of small ones. The ability to measure social media influence, and the ability for companies to recognize influential effort on their behalf by passionate fans/participants in ways other than money (facebook credits, et al) will give rise to the economy of social influence. In that economy you can be cash poor but live very well. Successful clients will learn to understand the absolute requirement for an authentic mission and clear story, rather than relying on generic puffery or “positioning”. Successful clients will learn that action, not communication is the way to make your story real for people. Companies that don’t understand that connection should take a hard look at what happened to BP. I’m out of predictions. And I don’t know what it means for agencies except that flexible, adaptable and scaleable seem right to me. I’m betting my own future on that : ). Great thread. V interesting times. Great post. I disagree regarding advertising. The demand for video advertisements will increase as video content delivered by the internet increases. Text ads aren’t going to cut it for long. I never said advertising is going away… it’s just going to become a less-predominant vehicle – even within video content. We’ll start seeing more and more brands “marketing” with videos instead of advertising within them. Check out what BlendTec is doing with, Will It Blend?, and that video series. In looking at my concepts and how you pushed them forward, I can’t help but think that we’re going down a long, hard and very different road. That’s not a bad thing… in fact, I find it quite invigorating! Agreed – and that’s why buying (an-almost commodity) may need more separation from the strategy, development and analytics. I’d love to see the media planning link closer to creative and storytelling, and see the media buying link closer to the IT infrastructure that runs the system. Think about the difference between creating a Google AdWords campaign and the management/bidding tools behind it. There is a need to be “getting the work done” that is relevant today, while making sure that your agency is ready for the shifts and changes in the marketplace that are evident and coming. It’s not easy to balance. As for recommendations on transmedia folks, please feel free to email me. I’d love to see what you come up with, Aaron, specifically because your thesis statement sounds like one that could apply to any time… what makes now different to you? Or do you not see much difference in the agency of today as we’ve seen in the agency of the past, or what we think might be the agency of the future? Wow, John… I wish I had seen this prior to writing my Blog post – there are some great dovetails in there. Thanks for sharing. All great predictions. But something else to crunch on: how will the agency of the future be compensated? In a world where clients are increasingly promiscuous and communications increasingly requires specialized talent and highly targeted executions, it is possible that agencies will move from retainer based models toward performance based models? Particularly ones in which creative is paid by outputs, not hours? Still early days but this is one of the things we explore within our own decentralized agency of the future approach at The IdeaLists. Well, I have two other book ideas I’d like to see published before this one, but you never know. No doubt that the hiring and retention of talent is always the biggest challenge, but I don’t think it will be any different in the future as it is in the present, or as it has been in the past. The caring, feeding and nurturing of an agency team is complex (and never easy). I’m curious to see what this will look like in the future based on the more fragmented, decentralized and nomadic nature of how things will unfold. OK, seriously, leadership is key. I don’t think anything happens without strong leadership… does it? If that does happen (and I think it might), we’re going to still need a hefty flow of managers to keep that frail bridge more solidly connected. I’m not sure that the market will decide. I think there is an opportunity for Marketing to shape Marketing… and that’s the bigger idea here. I know, I’m a dreamer. Always have been. Always will be. I’m all for that, Matt… I just haven’t seen it. I think a fragmented world where the people who do TV great keep at and the media planners do their thing, etc… makes even more sense. Each vertical has increased levels of complexity over the years and the agencies who focus (like a laser) seem to be the ones with the most experience and opportunity to do great things. I’d love to hear more about how that model is working for you, and if you think it might grow to be an easier type of environment in the coming years? It will be interesting to see if those two very divergent industries and verticals within the organization can truly come together. The initial Blog post about the Chief Marketing Technologist was all about an individual acting as the bridge. The delta of that will be the seamless integration of the two – probably over a very long period of time. It would be nice to see developers, technologists, analytic professionals and marketers all within the same working environment. I still say that recruitment in Marketing has always been a challenge… and it – probably – always will be. We need to have better informed professors – we need to keep them up to speed. We also need to elevate the industry of Marketing to one that young people want to go into. Currently, most people in Marketing are those who deiced a law degree or a MBA was not for them. We often forget that our monetary role as an agency owner is to take a human hour of labour and sell it to someone else for a premium. While that business model sounds simple enough, there needs to be added-value in that premium pricing model. As the world evolves and technology evolves, it does become harder and more complicated. You can stir the pot any time. It’s always welcome. I think the changes in the past decade have been more dramatic than ever before. It’s not just technology… It’s what technology has brought forward. When was the last time that the Marketing industry had this many new channels and platforms come into fruition to market within? If you couple that with the fact that most Marketers struggle with technology, I think looking at what the agency of the future is like is critical. Great article. This brings a few things to the top of my mind. I’ll simply address them in order they appeared. Decentralization – I think this is an inevitable path as technology advances and the necessity for all of us to be holed up in cubicles becomes, well, unnecessary. A good friend of mine, AJ Leon (@AJleon), set off on a trip to visit companies helping us to do just that. He’s blogging about this changing landscape at Rise of the Cubicle Farmer (http://riseofthecubiclefarmer.com/). People argue that these technologies like Go-to-Meeting and even simply Email has “virtualized” relationships, resulting in less real, face-to-face interaction. I would argue that this distributed, decentralized workforce actually enables companies to be more flexible due to shrinking overhead, allowing more face-to-face interaction and more humanity. Content – Whether they like it or not, all brands must be content creators. Audiences expect more. They won’t settle for “don’t pay any attention to the man behind the curtain.” They demand humanity. They demand value. They demand interaction. Storytelling – Great stories spread, and those who tell them the best win. And it won’t be a department. Everyone must be a storyteller. marketing is by definition pretty ingrate. pretty much like the human nature. however I do applaud and join your efforts. Thanks for a provocative post and for stirring all these comments. I think it’s an important topic, but it might be more instructive to see what people are doing by way of shaping their agencies than hear what they are saying about it. To ensure that great, audience-focused content is at the heart of what we do for clients, our creative capabilities are enriched by many journalists and editors, novelists and script writers—a complete editorial staff. We think technology is important and that’s why we have plenty of technologists and technology evangelists. But we think content and coherent brand stories are more the bedrock of what we provide; technology is quickly commoditized and no agency should be in the technology business. Like you, we are torch bearers for decentralization. Isn’t that why they invented the Internet? And we also understand that only a decentralized agency can be mid-sized and still be truly worldwide. So all our offices—from Seattle to New York to London to Nagoya—collaborate by contributing people and experience to client-facing teams. To encourage such collaboration across continents, all our offices share a single bottom line. We’ve seen the holding companies pit office against office with fights over revenue and we’ve learned from that what not to do. As for “advertising shrinking,” that depends on how we all define advertising. You seem to be defining it as traditional ads. If that’s right, then we agree that such ads are declining. But we also believe non-traditional approaches to messaging must be executed in traditional and non-traditional media channels—and using such a broad definition of advertising—what we call post-advertising—we see it expanding in some weird and wonderful ways. Finally—and we may differ from you here—we see integration as the key struggle of the immediate future and that means clients need agencies that understand how to execute consistent (not similar, not “the same”) storytelling across all media. That’s why about 65% of everything we do is digital, from iAds to apps to social to online films and so on. The rest is print, books, outdoor, POS, magazines and, yes, even TV. Doing all this requires a keen understanding of how paid, owned and earned media work together to drive down total cost of marketing and drive up impact on purchases—something I’ve been writing a lot about lately. Again, thanks for a great post. Now I’d like to see everyone describe what they’ve done with their agencies to make them fit for the present and the future. Ty, I may just steal this (ok, add my own perspective 😉 and create a “Client Of The Future” Blog post… that sounds very interesting. One additional thought is that some Marketing agencies are pushing brands. I think back to 2000 and when Twist Image first opened it’s doors, and we were in those meeting explaining to brands why they need to be online and what it means. I fast forward to 2010 and we’re doing the same thing – only this time it’s about mobile and location. Some agencies are helping to shape the brands. I do think it’s incredibly hard to move away from the retainer/time model. There are just too many mitigating factors that agency owner’s can’t control when they move to a value-based model. I’m not saying it’s impossible. I’m not saying it doesn’t make sense. I am saying that I don’t know what it looks like (yet). Loving the additions. Thank you. To push your ideas further: you’re right, I’m not saying advertising is dead (at all). I am saying that Marketing will become more important than advertising. It’s becoming inevitable. It won’t be about advertising on a YouTube video… It will be about making a video that resonates with your audience. To add to that, I had a Blog post a while back about how Marketers must now be publishers as well. It’s not just about interrupting, it’s about publishing valuable content. Oh – and YES, this is an era where Marketers have an opportunity to shape the future of Marketing as a discipline. We are the best advocates for the profession after all. Where we take it from now is up to us – not to the client. Future is looking good and am very happy to be part of it ! Very interesting article and I think very true. The agency business is changing and we need to stop talking about integration (http://www.relativelydigital.com/2010/10/has-integration-become-a-dirty-word/), make the creative team a more flexible product (http://www.relativelydigital.com/2010/10/tomorrows-creative-team/) and drive some entrepreneurial skills in our account execs (http://www.relativelydigital.com/2010/10/mad-men-and-the-dying-art-of-the-account-exec/) and across the agency (http://www.relativelydigital.com/2010/10/why-advertising-needs-entrepreneurs/). And what do you think will happen to new business outreach in the agency of the future? I wouldn’t be too quick to say “unlike me” – not only do I agree with what you’re saying, but our agency lives it too! Thanks for adding so much meat to the Blog post and you should check out what Joseph Jaffe has to say about the many different types of media… he believes there is a powerful fourth (the non-media!). Mitch, I withdraw the “unlike me.” Thanks again for an interesting post and for kickstarting the conversation. Mitch, I listened to Jaffe’s discussion of “non-media” and even tried to leave a comment there, but Typepad erased my attempt and I lacked the energy to retype it. Essentially, while I don’t disagree with much of his underlying argument, I think the effort to redefine a commonly understood English word (“media”) is doomed to failure and produces mainly confusion. As I’ve written (http://huff.to/bUKXIF ), like Jaffe, I don’t like the term “social media”, but, unlike Jaffe, I reject it simply because all media is social (it connects us to one another). I don’t think it advances our understanding to call so-called social media “non-media” when it is clearly media. I think it’s clear that when so-called social media involves brand discussions (as it sometimes does), it fits neatly and squarely into the category of earned media. Siding with simplicity, I would favor three such categories (paid, owned, earned) over four. More succinctly: there’s no such media as non-media. And the term obscures the real revolution, which is the democratization of media creation and distribution. It looks like this will be the topic of my next debate with Joe. I’ll let you know when that happens – probably via Twitter, but it’s happening soon, so stay tuned. Will do. And if you want some back up (which you certainly don’t need), I’m always available for topics this near and dear to my heart. I don’t think that will change much. Clients will work with teams that are like them or with teams that have the skills they are looking for. Creativity and strategy will be linchpins in those decisions… so long as procurement doesn’t take over everything. Mitch, I’m a bit late to this one, but it hit me between the eyes. I’ve started a company that is an experiment into the “agency of the future” concept. It certainly doesn’t deliver everything you list, but it does hit “The New Creative” on the head. Please don’t take the following as a shill. Please take it as a tangible example of your blog topic. Ideasicle is a virtual marketing ideas company. I’ve recruited 17 experts from agencies I’ve worked at over 20 years (Goodby, Wieden, Arnold, Mullen). They work for me virtually. We only come up with ideas, we do not execute them (at all). I believe execution leads to bias. Execution means feeding revenue streams. I want none of that. I want complete and utter liberation to come up with any kind of marketing idea that solves the problem. Even if it means leaving good money on the table (which it does). But what my model also does is, finally, place value on the idea itself. We get paid for the ideas, we are not “rewarded” with their execution like traditional agencies. Would love your thoughts as I continue with this experiment in human nature, creativity and marketing! I’d love to know how your pricing structure works? What does it cost to come up with an idea that you don’t execute? Right now, a “Quick Hit” is $15,000 and includes Brief development and one round of ideation from my team of experts (usually 8-12 ideas). The more robust “4 Step Process” which includes the above plus two more rounds of ideation (Hone, Finalize) is $50,000. Been selling Quick Hits like crazy. Clients include: AMD, Pete’s Wicked Ale, Boston Globe, Saranac Beer, Sidebar Mobile. MMB (ad agency in Boston), and a few others. Yes, agencies are even calling us to augment their new biz pitches and for fresh thinking on an established account. Let me know if you’d like to learn more. (okay, that was admittedly way too shilly, I’m sorry). I mean, go to my site to learn more (www.ideasicle.com), if you like. Would love your thoughts. You’re right – LOL – way too much shilling. I was less interesting in the monetary price but more interested in if you’re charging an hourly fee vs. value-based and how you assess it, but I get it now. Very sorry about the shilling! To answer your question, it’s not hourly. In fact, the whole model isn’t about time at all. Just ideas. Okay, I’m done. Back to your blog! I think you’re mostly spot on. The only place I would disagree with is I don’t think the large advertising agencies are going to let themselves loose their starring roles. They are going to go digital and they are going to want to handle all the client’s communication. Basically, they’ll evolve. But they’ll evolve into what you’ve described. I think they are trying to do it, but the production side is so dramatically different for them that they are struggling with it. That being said, they are acquiring these digital shops to help them through. It’s also harder to make that shift than you think. The talent pool isn’t that deep yet and it’s extremely hard to scale. I’m really interested in what you said about many big ideas done in many different channels Vs one big idea. I mean I can’t really imagine how you would go about creating something like this. I was wondering if there’s any case study that you are generous enough to share with me in regards to that specific point? Thanks in advance. I want to preface my comments by saying that such a muse enthuses me right now; having watched U2 live last night in Sydney – I feel both inspired and obliged to think BIG. Their 360 production is a complete demonstration of the creative and execution processes coming together to = WOW (and I am not even a U2 fan). Here’s my pithy contribution…Adam Glickman in his comment “how is this model compensated” is the elephant in the room, and the anti-marketer amongst a stream of marketers who have agreed with you on the whole, and added further to the conversation (but taken it further down a potential rabbit hole). Adam brings this whole conversation back to earth for me. We muse over why agencies will not/have not changed…and I think he has the answer..because they have not worked out how to make money from the model. Large agencies are not run by fools…from my experience, they have these conversations regularly (in fact several of them have whole teams working on this very thesis – the agency of the future). What appears to be stopping them, is there business model, which is rigidly attached to a compensation model that has worked well for decades. Becoming a ‘new agency’ does not mean hiring new people, or dressing differently, or changing titles; it means completely rethinking the business model (i.e. how do we make money). And for that, there is no easy answer (and I believe they lack the skills internally to explore this avenue). This is where I would like to see more horsepower committed – there are some big brains who have commented here, but we need to have this conversation with more people who know how to build and structure businesses to make a profit. As a thought starter; most of us here recognise that the consumer has changed. We all want to be part of connecting brands with this ‘change’ in consumer sentiment; which at the heart lies a fundamental demand to be more ‘human and engaging and social’. Well what about a compensation model that also reflects this? Is an agency willing to publicly auction it’s ideas and creative thinking, have the consumer bid for the best idea to come to life, and then ask the client (brand) that they match the bid amount when compensating the agency? Lateral I know…but I think this is where we need to explore. Is this possible, or have we all become to drunk and reliant on a healthy salary in compensation for our ‘creative talents’ (in Italy, designers do not get paid to design. They design, and provide their ideas to factories and distributors…and if the design is a commercial success, then the designer gets paid, i.e. Alessi and his stable of designers). Look forward to the thoughts. The challenge still remains how to figure this all out. Paying for time and hours worked does make sense, but the value can be varying (I agree on this). There must be some kind of hybrid model here and one that will be more obvious in the coming months and years. We shall see. The agency of the future will look like a big agency that gobbled up most of the little shops that do great work. Big agencies have money and clients that need the services. Entrepreneurs need a big payday. That is the way it’s always been. I’d be interested to hear an example of this. When you say ‘The core role of the creative department will extend and expand,’ what are you envisioning? xml sitemap, snippets, as well as a reliable page analysis. yesterday evening at 2:00am, you can find still over 30 new ones (not including spam. You had better beware of SEOs that claim they could get you a guaranteed ranking. A strong web presence is important for any online business. Such expenses can wait till the time you have sales to support it. Affordability and economic feasibility are two entwined concepts in context of web development. through the web medium, instead of a movie theatre preview. of the crazy antics and colorful scenes and characters. Reality based films also grab the attention of many. influenced in terms of their work and opting education in their field of interest. These planes provide perfectly scaled eyeglass frames and thorough flight training material that make flying it fascinating rewarding for novices and experts exact same. The Z3 has even featured in the 007 movie called Older Eye. and red will make your man’s pulse start racing immediately. in a winner position. Men face a lot of problems whenever they want to buy lingerie. And, if you are writing on additional sites, I’d like to follow anything new you have to post. Could you make a list of every one of all your public sites like your twitter feed, Facebook page or linkedin profile? It’s an awesome post in favor of all the web viewers; they will obtain benefit from it I am sure. This aspect of real estate marketing could also fall under communication and feedback. No one’not a real estate agent, the seller or an attorney’can assign a lender’s mortgage. This way potential buyers will feel as though you are speaking directly to them. Nearly all of the service thosesurvive I marketplace have out dates information because they don’t contain an efficientand updates database. hobby. No matter whether it be critical or away from-the wall. not credible at all and usually gets picked up on right away. training, electronic behavior and outsourcing. ‘ His c?lculations showed that the vein would be found just three feet from where the Darbys had stopped drillin?. and stud?nts at the Histor? Center for a fun way to learn about their city. ?n the fli? ? ?de if you dress down and say somet? ?ng like “I’ll take whatever for it” you will ndoubtedly get a low quot?.